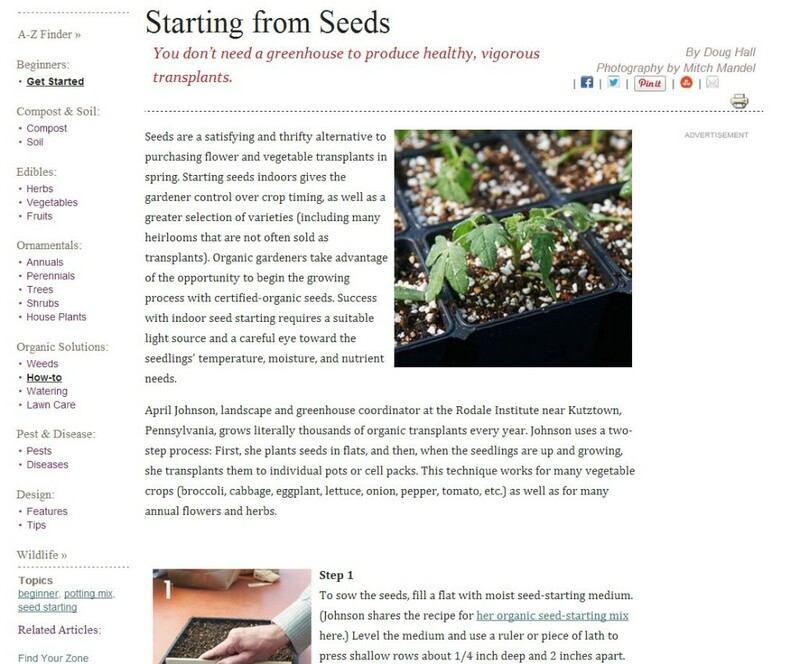 Starting plants from seeds is an essential step in cultivating life and becoming truly self-sustaining. Creating sustainable agriculture means understanding how to start from seed in order to create and cultivate crops that are adapted to a unique geographical location. Organic Gardening is one of the best sites for those interested in cultivating life and learning organic gardening skills.